It’s not often something can be so overwhelming an experience that you’ll come out of a seated hall feeling a transfer from a previous state of haste to gushing expression. 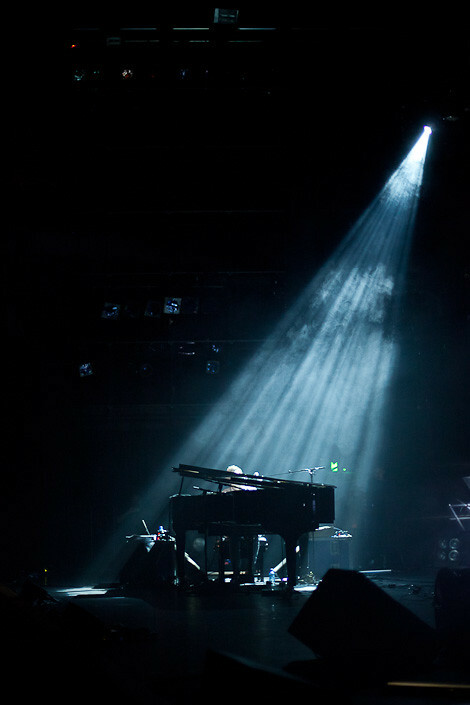 But ones experience of Ólafur Arnalds at Queen Elizabeth Hall the other night felt akin to this. To feel genuinely touched by a gig can seem a cliché, but even saying touched seems a understatement from the truth. 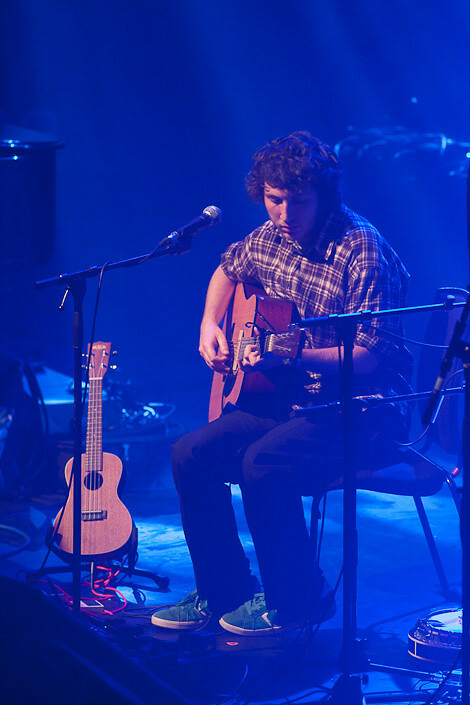 Souring soundscapes and tentative vocal-guitar layering came first from the Oxford acoustic group Message To Bears, invited to play tonight by Ólafur himself. To what some at times may have felt disfigured and odd felt sinking to me. The capture of a mood via a composition and played out before my ears was nothing short of beautiful. As a lone violinist captured the higher areas, a DIY drum sound underneath seemed to be the perfect combination. 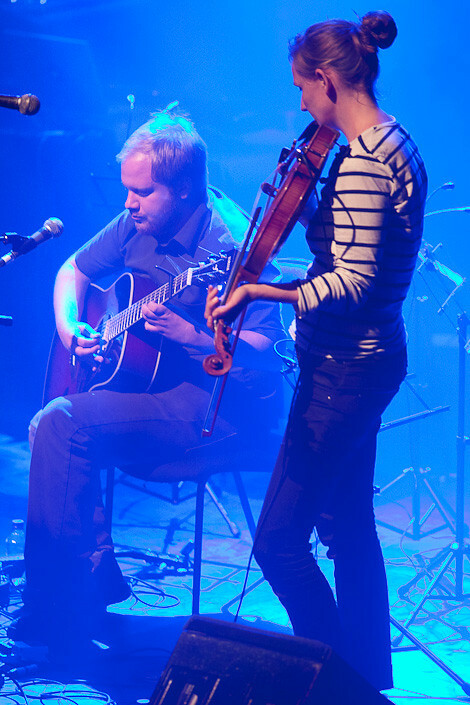 Though the support set, short, it set a perfect tone for Ólafur to continue on. 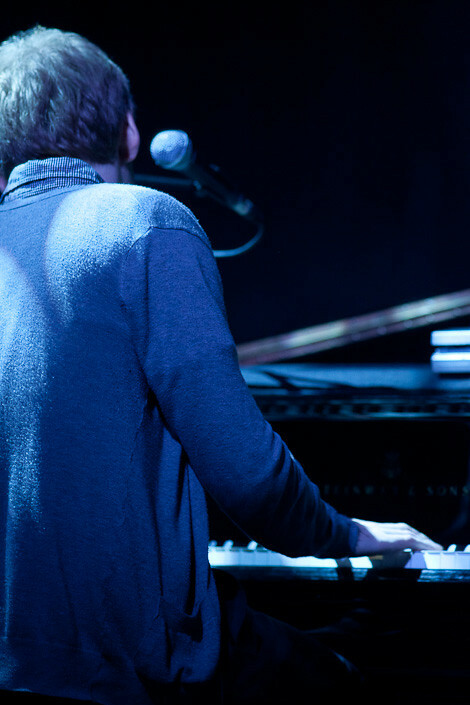 The stage saw a complete change of setup for Ólafur Arnalds set, as glowing orbs stood place behind him and his accompanying musicians. The seminal use of differentiating light and interesting patterning supplied a gorgeous feast for the eyes as an audience found themselves lost in enchantment. With the projections of child like fantasies and dreamy visuals the set started softly, only to lead into a whirl of breakbeat and bass overtaking the stage. Olafur seemed to be of an appreciative nature for the performance, noticing that many of the faces that were sat amongst the audience had joined him three years ago at his seminal Barbican show. He thanked the crowd throughout, as claps came at stuttered pauses in between conversational banter from Olafur and his compositions. Stories from touring for led the very beautiful track 'Poland', quaintly named after a previous experience there. 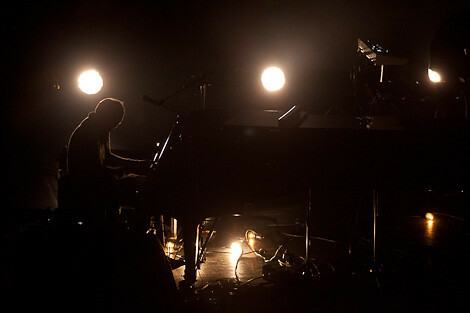 But perhaps the moments that touched most where when Olafur found himself alone at the piano, touching away and keying in to people's inner emotions. Probably his most known track 'Ljósið', written oddly enough for an advert for bathtubs, saw the best reaction. 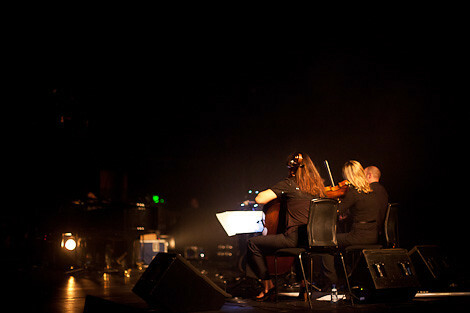 With strings in perfect harmony, and the twinkle of Olafur's piano beneath, this more than any moment felt like peace. 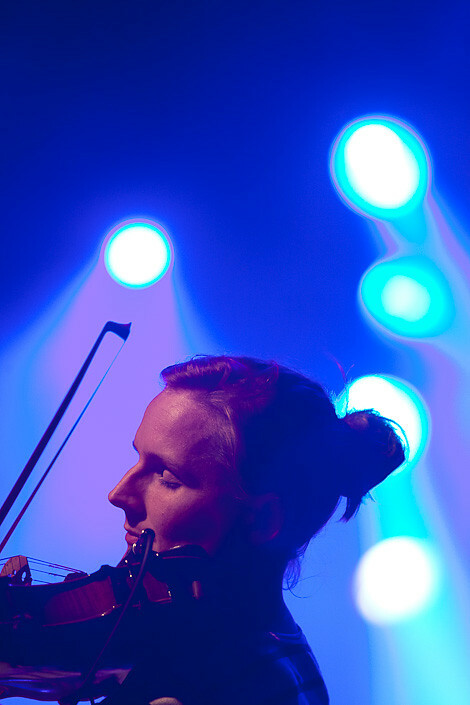 Described as having the beauty of Iceland encapsulated in this one song, the audience couldn't help but wish to be drawn away to the longing place of hopes and dreams.